I tell everyone that they haven’t really tried almond milk until they make it themselves. 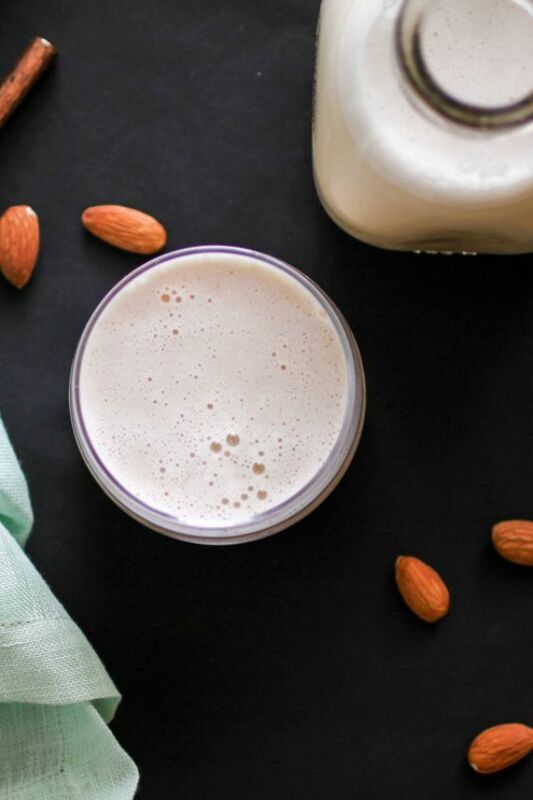 The differences between store bought almond milks and the homemade kind pretty much speak for themselves. First of all, the textures are completely different. Think of it this way, store bought almond milk is to skim milk as homemade almond milk is to heavy cream. 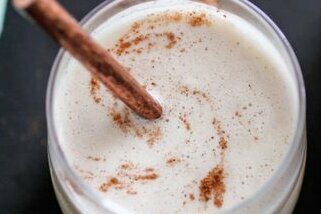 You will get a MUCH creamier product if you make almond milk at home. Secondly, the flavor is a lot richer. Perennially, I don’t think store bought almond milks taste like much of anything. I find them to be pretty watered down. 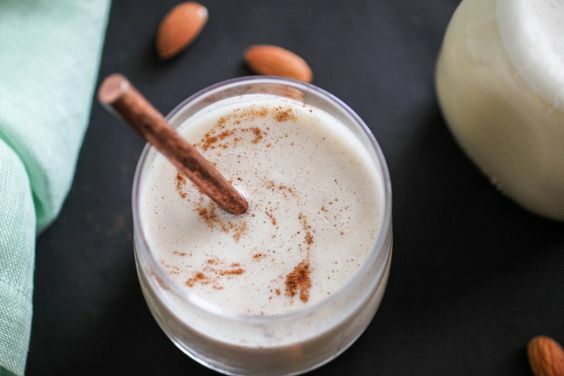 Homemade almond milk has a very distinct and comforting almond flavor. Lastly, store bought almond milks often contain thickeners and fillers which can often irritate some peoples stomachs. (Mine included). 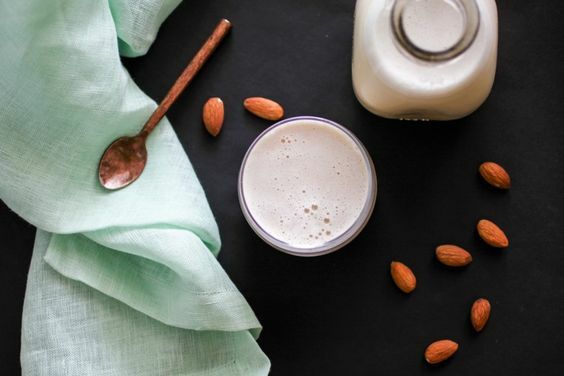 Making your own almond milk can absolutely seem like a seriously daunting task, but after you do it a couple times you will get the hang of it and it won’t seem arduous. I make a huge jug on most Sundays and use it throughout the week. Keep in mind, fresh almond milk doesn’t normally last much longer than a week so make sure you only make as much as you need. This recipe fills my half gallon mason jar about 3/4ths of the way full and that’s a perfect amount for me to use for smoothies and creamer for my tea for 7 days or so. Please keep in mind that you really, really need a high-powered blender for this. I highly recommend the Vitamix S30 series. It’s the cheapest and most functional high-powered blender out there. Rinse almonds in a colander thoroughly. Soak almonds in a large bowl overnight in filtered, cold water and cover with a cloth. In the morning, rinse the almonds again. I recommend doing this in two batches with a Vitamix S30 personal blender. If you have a larger capacity blender, feel free to do it all at once if it fits. I find it easier to do in batches regardless. Place half of the almonds, half the water and half of the vanilla and salt in your blender. Blend gradually on low and then to high, keeping it on high for about 30-40 seconds until well blended. Pour mixture through a nut milk bag (not a cheese cloth!) into a large bowl. Feel free to save the almond pulp for another recipe or toss it. Once you are finished with the first batch, move onto the second batch. Transfer your delicious nut milk into a large container. I use a half gallon mason jar. You are more than welcome to experiment with this recipe and add additional flavors or sweeteners. Get creative with what you like! I can’t resist this almond deliciousness right as it comes out of the blender so as a reward for making it, I always enjoy a small cup on ice with a few drops of stevia and a dash of pumpkin pie spice. I love homemade almond milk! Your pictures are beautiful! !